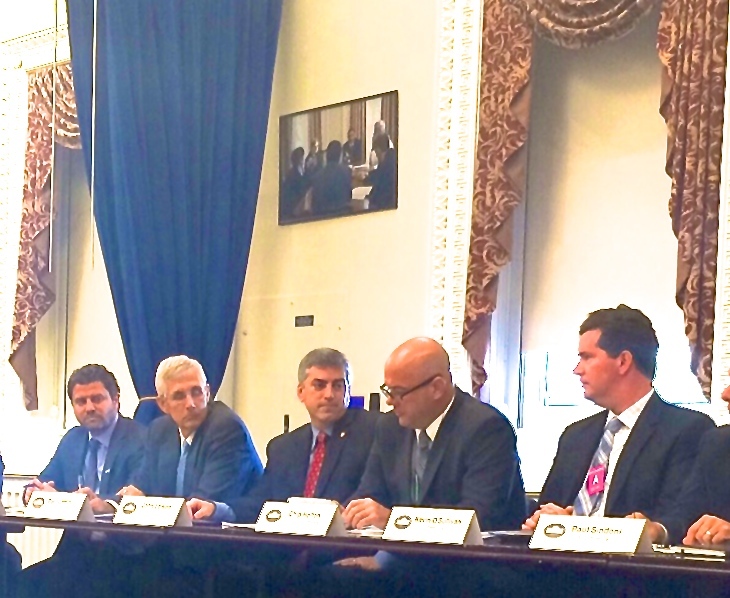 MOUNT AIRY, NC—The White House recently invited NCFI Polyurethanes to an exclusive 20-company roundtable discussion about the company’s aggressive efforts at reducing potent greenhouse gases known as hydrofluorocarbons (HFCs). 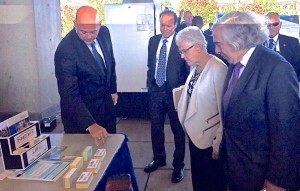 The Obama Administration is impressed by NCFI’s commitment and progress in converting the company’s entire engineered building products line from high HFCs to low Global Warming Potential (GWP) products by the end of 2016. HFCs are factory-made chemicals that are primarily used in air conditioning, refrigeration, and foam insulation, and they can be up to 10,000 times more potent than carbon dioxide in contributing to climate change. Absent ambitious action to limit their use, emissions of HFCs are expected to nearly triple in the U.S. by 2030. NCFI Polyurethanes today announced several commitments in support of its goal to convert its entire commercial construction product line to low-GWP products. First, it announced that it has completed the formulation of roofing foams to use low-GWP blowing agents by 3Q 2015. Second, NCFI Polyurethanes announced that it will complete the formulation of open and closed-cell polyurethane foam wall spray with climate-friendly blowing agents by 4Q 2015. Third, it announced that it will complete the formulation of an entire construction products line with low-GWP blowing agents by the end of 2016. Finally, NCFI Polyurethanes announced that it will complete the formulation of low-GWP custom formulated product foams (taxidermy, automobile, marine, and medical) by the end of 2016. Reformulation will also be complete for rigid molding and integral skin foams in the same time period, prior to their transition compliance dates.